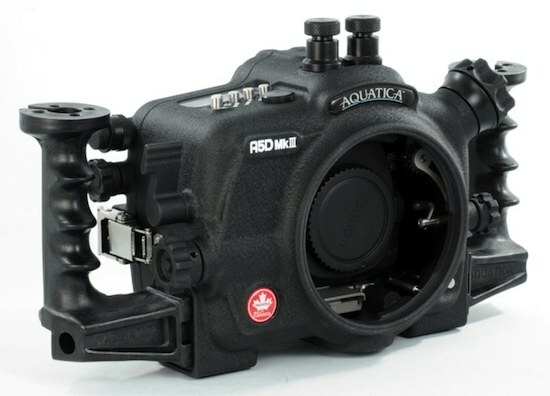 Aquatica announced new underwater housing for the Canon 5D Mk III DSLR camera - the A5D Mk III. The standard depth rating is 90m/300ft and can be upgraded to 130m/425ft. The price is $3,199. Our Design team has upped the game with this recently released camera. New features have been added to this housing to improve operation and compatibility, but importantly, this precision housing is the product of a very time proven lineage of underwater camera housing. 30 years of knowledge in this field has made sure that every aspect of the housing ergonomics and access to all controls were carefully implemented. The final result of this camera housing mirrors the constant evolution of technology and the input of highly respected professionals image makers from around the world. 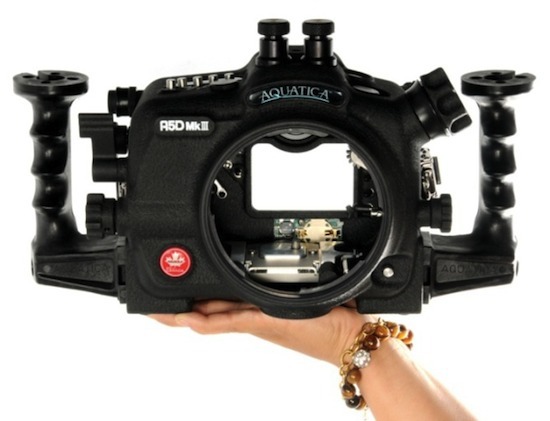 The Aquatica A5D Mk III housing still benefits from the finest material available in the industry. Carefully crafted from a selected alloy of aircraft grade aluminum and premium grade of stainless steel, the housing is machined on the latest 5 axis computer assisted machines. it is then protected by anodizing to North American military specification for further protection, Aquatica provides corrosion inhibiting zinc anodes as standard equipment and coats their housing with a baked on, tough as nail, powder coating. This extra level of protection does make a huge difference as can be seen on some Aquatica housings that even with over 1,500 dive on them, still look as fresh as the day they came out of the box. This housing is made for the hard working professional in mind, one who truly understands reliability in the field. 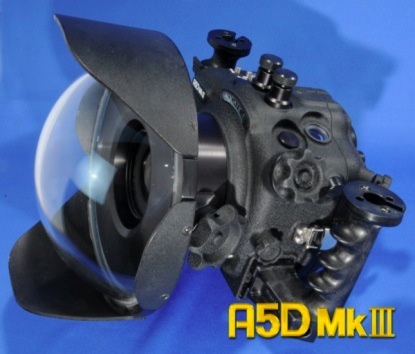 The A5D Mk III housing was made as small as a it could be, nevertheless its lightness in weight should not be taken for a weakness. This housing still has the same standard 90m/300ft depth rating and can still be upgraded to 130m/425ft. Its knurled knobs and oversized controls mean easy operation no matter what the situation is. Being built in Canada means that every Aquatica housing is born and bred in one of the world most rugged diving environment. Bottom line, if it works in our local conditions, it will work everywhere else! Bulkhead strobe connectors have also evolved, with six active pins bulkhead giving access to TTL flash exposure via currently available third party TTL converters. 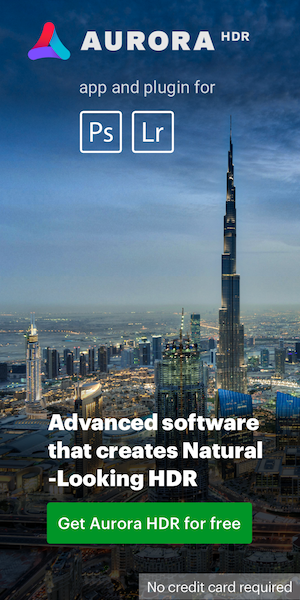 They are now user serviceable and replacing them is done quickly without requiring the need for any special tool, in a matter of minutes. Again, these improvements were implemented with the working professional in mind, reliability and user’s friendly field maintenance being the key word here. On the right is a view of the office end on the new Aquatica A5D Mk III, clearly showing the serious nature of this housing. On the left hand, the buttons and mode selector control are angled and positioned for quicker access to the various functions. On the right hand the record button has been relocated closer to your thumb and not only has it been oversized but is now clearly identified with a bright red coating. The Live View toggle remains within easy reach and the SET button has also been oversized. 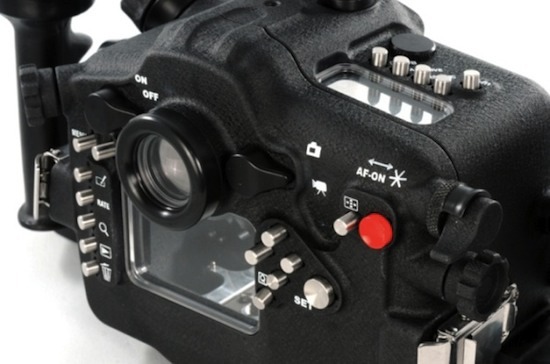 The multi controller pad found on the Canon 5D Mk III is now made accessible. All push buttons are of high quality Type 304 stainless steel, the same used in the aerospace industry; these will not break or rust. Their smooth operation and position gives the photographer a very intuitive and normal feel to the housing. Shown to your left and ready to go to work, is the Aquatica A5D Mk III with the 9.25” Megadome, state-of-the-art BK-7 coated glass dome, it is attached to our unique extension ring with manual focus capability, this extension is available for both the Canon EF 16-35mm f/2.8L USM Type II and the EF 17-40mm f/4L USM, Two serious candidates for the video shooter and for which manual focus access is vital, manual focusing with prime lens focusing can be done using the controls knob on the upper left side of the housing. Priced at just 3,199.00 USD, it is the most economical and best designed of its category. This entry was posted in Aquatica, Canon. Bookmark the permalink. Trackbacks are closed, but you can post a comment.